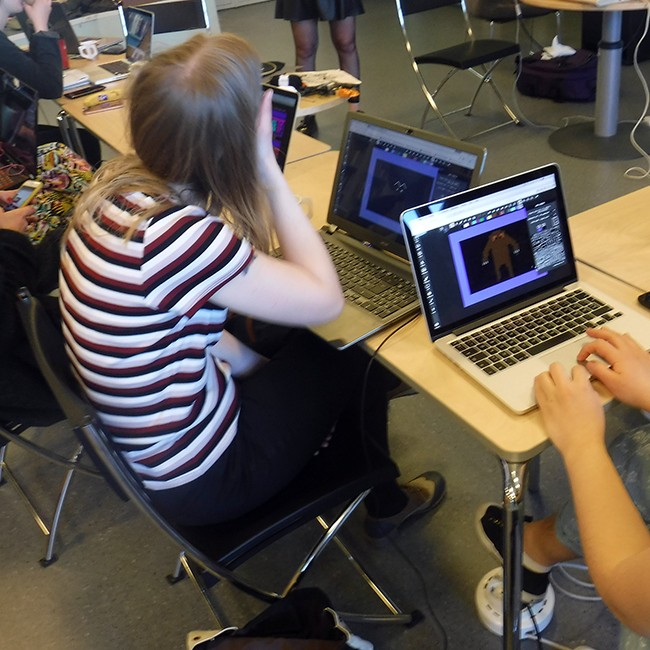 In this workshop by Raquel Meyers, we are using the classic gameconsole Commodore 64 to create patterns, animations and illustrations.Using classic embroidery as a startingpoint for making creative, digital animations and vice versa. 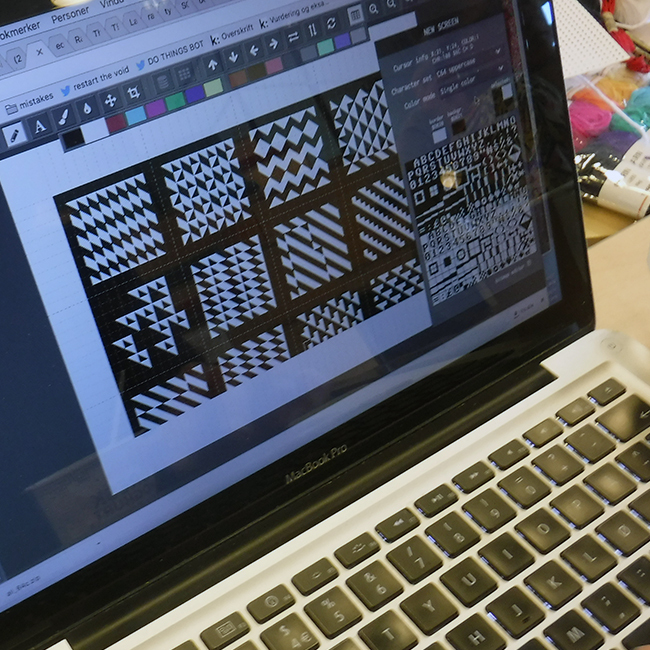 Using grid based animation, where each pixel, can be translated to a needlepoint. 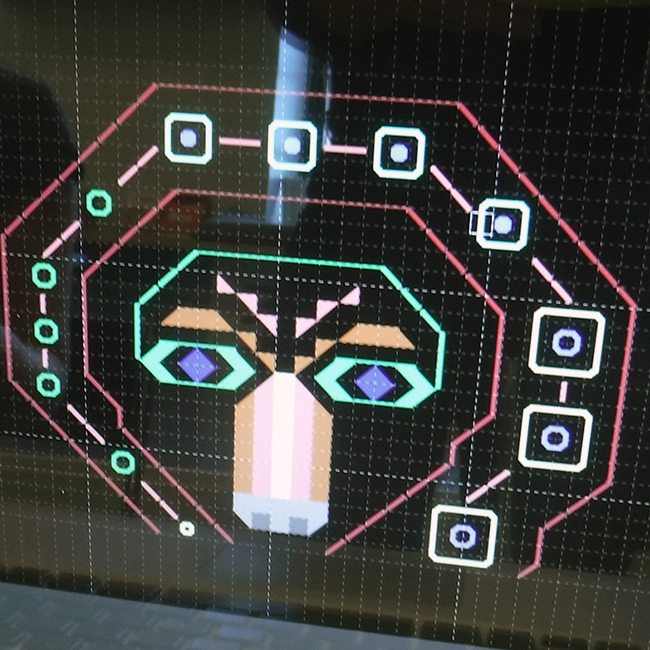 Raquel will show how these shapes and illustrations can be made using the unique technique and functionality of the Commodore64. By using a limited and abstract set of colours and shapes, these illustrations can be translated to physical materials such as embroidery, and rubber stamps. Due to the unique grid system used in the C64 to create patterns and shapes, it is translatable to the classic cross stitching craft. 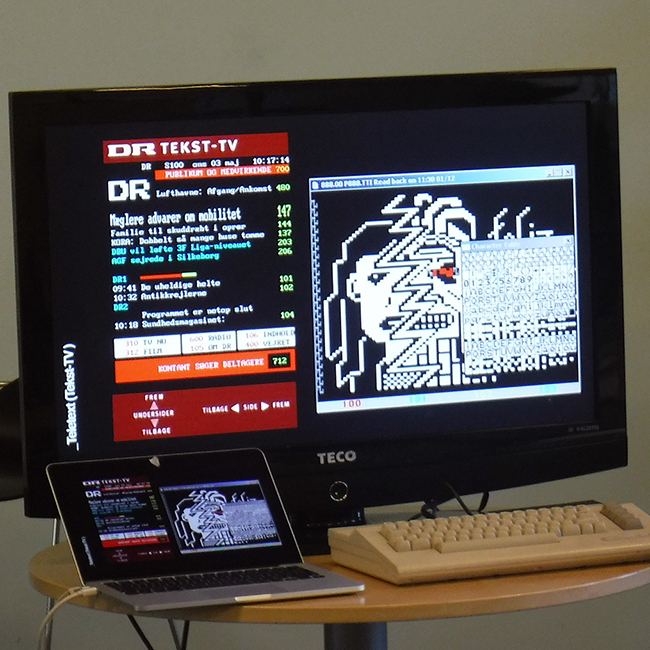 Raquel will show examples and participants get a chance to both make creations in the unique environment of the C64, and translate these shapes and forms to physical objects. 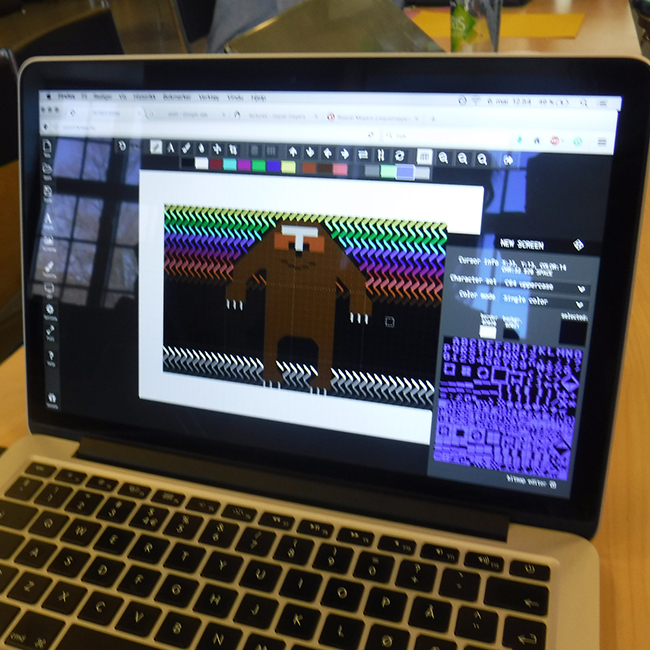 Using the Classic Commodore 64 screen as a canvas, a rectilinear grid where one keystroke at a time is used to build character-by-character imagery. This imagery comes to life as a combination of shapes in limited colours, characters and letters from the alphabet, numbers, punctuation marks & special symbols. The Commodore 64, also known as the C64,is an 8-bit home computer introduced in January 1982 that was widely popular as one of the first gameconsoles. 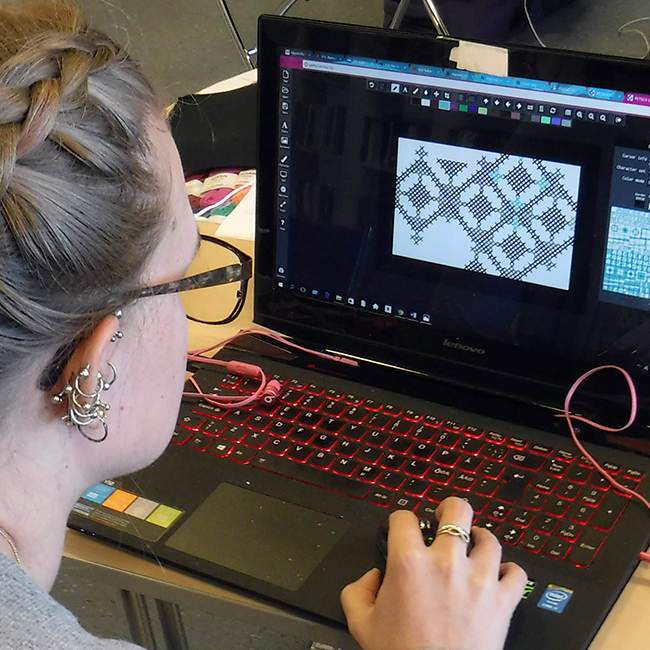 Raquel Meyers is Spanish artist based in Sweden who defines her practice as Keyboardslöjd (Drawing & Crafting by Type) and utilises the Classic C64 gameconsole to create animations, teletexpages and crosstitch pieces.